A superb collection of 300 classic and creative potato dishes for every occasion, including potato soups; appetizers and snacks; salads; meat and poultry; fish and shellfish; side dishes; and desserts, bakes and breads. Explore every conceivable kind of potato dish such as Spicy Chicken and Potato Broth, Potato Cakes with Black Pudding and Apple, Hake and Potato Salad, Slow Baked Beef with Potato Crust, Baked Mussels and Potatoes, and Chocolate Potato Cake. Be tempted by traditional classics, such as creamy Leek and Potato Soup and warming Shepherd's Pie topped with mustard mash, or expand your culinary horizons with a fragrant Halibut and Sweet Potato Curry or Lamb and Potato Parsi. There are delectable treats, like an elegant Lobster and Potato Salad, and sustaining family meals such as the robust and delicious Meatball and Potato Pie. Each recipe is fully tested and explained clearly in stage-by-stage instructions and illustrated with over 300 beautiful photographs for inspiration and guidance. There are also at-a-glance nutritional notes to accompany every recipe, providing a breakdown of fat, calories, fibre, cholesterol, sugars and protein. Nutritious, versatile and comforting, the humble potato is one of the world's best-loved vegetables. 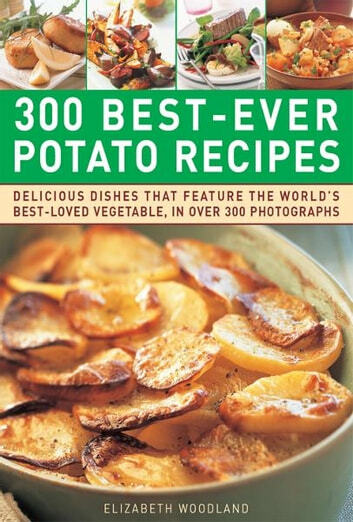 Beautifully presented with 300 stunning photographs, and with cook's tips and handy variations throughout, this is the ultimate celebration of the potato, and an essential book for anyone who enjoys good, wholesome food.